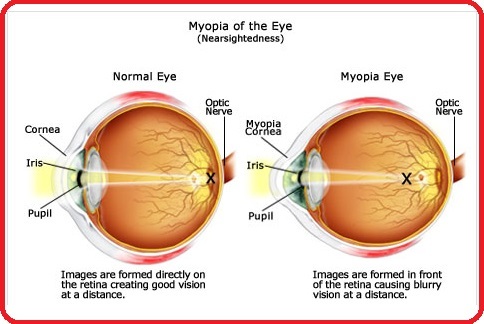 · Lasik has very good results when used for people that have Myopia. These people suffer from refractive error that causes them to see distant objects blurry (not focused). However they can see close objects very clear. Lasik eye surgery corrects the shape of the cornea and in most cases eliminates the need for glasses. 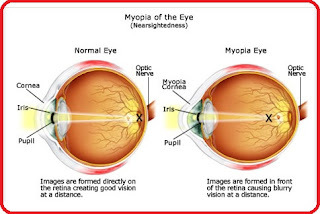 · Hyperopia is almost similar with myopia, the main difference is that people with hyperopia can see distant objects clear but close objects are blurry. Lasik surgery is very effective for hyperopia, in fact it is even more effective than treating Myopia. · It also has good results treating astigmatism which is great because most people have a combination of astigmatism and hyperopia or Myopia. These people have problematic shape of the cornea or the lens and this causes images to appear blurry no matter what the distance is. It actually causes them to see multiple images from the same thing and this is what causes the image to be blurry. · The whole procedure is completely painless. Some people feel the eye to be dry in the first few hours after the procedure but that’s all. · Recovery is much faster and there are less chances for post-surgery implications. · It can treat even high degrees (1-10) of refractive errors while PRK method can only treat small degrees of refractive errors. Actually there are not different types of Lasik surgery as all methods are using the same methodology and the same (excimer) laser but there are advances in the technology that are implemented in different treatments that you should definitely consider. With conventional Lasik, only the glasses prescription is treated. Conventional treatment is not less effective by any means but it can cause some side effects such as glared images and halos, and limited night vision. This does not mean that other treatments don’t produce those side effects but conventional Lasik result in more side effects of this type. Perhaps if you know someone that performed Laser surgery some years ago you have heard them complain about glares or limited night vision. This method has the added benefit that not only it is based on the patient’s glasses prescription but also it also considers the corneal curvature and its thickness and it reduces side effects such as glare and night vision limitations that occur more frequently with the conventional Lasik. This type of surgery also takes into account all alterations and shape problems of the patient’s eye. With wavefront guided Lasik surgery, before the surgery the computer maps all these problems and if the problems are severe the treatment will be based on this map together with the glasses prescription.